As your supplier, we warrant that our products will be free of manufacturer defects in workmanship and material. As such, we will replace defective products at our expense for up to one year after shipment. Contact your salesperson to resolve any defective product issues. 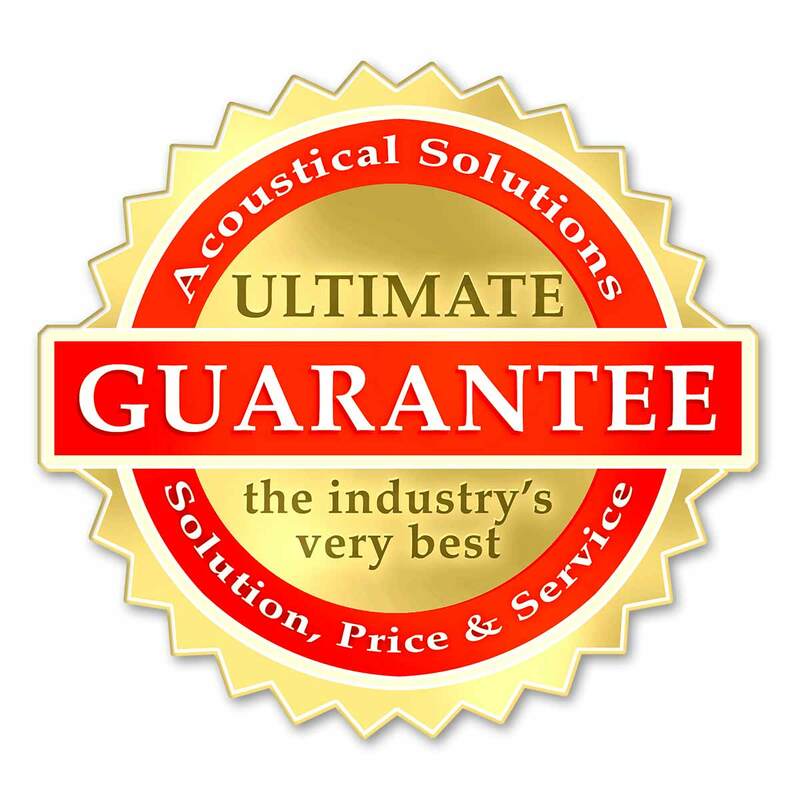 Our goal is to provide you the best value in the industry so that you become a loyal, long term customer of Acoustical Solutions. Our commitment to you is that we will deliver the best solution, the best customer service, at a competitive price. One of our core values is, “Treat Others the way that we want to be treated – with respect, and in a blameless manner.” If you feel that we have not lived up to our commitment, please call me at 804-349-0047 and let’s discuss it. I am sure that we can find a way to make it right. So go ahead, buy with confidence from a company who stands behind its products and services with the Ultimate Guarantee; you will be glad that you did.